The Story of 17th Century Irish Houses. Crotto House was once a splendid building in the heartland of a demanding part of the Irish countryside. In its lifetime it somehow summarizes the history of Ireland in the last 400 years. 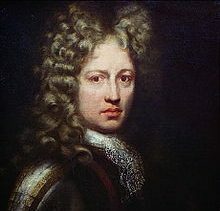 An unknown fact is that the house ironically witnessed the birth of a most well-known British leader and royalist through his early childhood. Architecturally, it learned from contemporary Irish trends and if it still stood today it would be one of our oldest and most treasured unfortified family home on the island. Crotto House (or Crotta House), Co.Kerry. Drawing by John Preston Neale. Engraving published 1821, London, by Thomas Barber. Crotta was built in 1669 by the Ponsonby Family. It was in ruins in the 1920’s and it is said that there were still substantial ruins of the building in the 1970’s. The Black and Tans partially burnt it as ‘on the run’ IRA men and women were said to have used it to seek cover within the derelict walls. That said, it was during its hay-day that Crotta shone. The above engraving gives the house some perspective with what looks like ladies on the verge of entering. What makes Crotta so interesting are the features that were incorporated into the house’ aesthetic. Crotta is like an architectural melting pot of 17th century house design that combines all features from the period together in one building. The continuous string courses that double up as window hoods were introduced as a feature in such buildings like the 1620’s Monkstown Castle, County Cork. The projecting tower gables on either side of the main entrance are stylishly added and are similar to the earlier Munster houses and also Ulster buildings such as Finnebrogue and Richhill. The pedimented façade showing Greek overtones can be seen in many other 17th century Irish houses like Kilmacurragh House in County Wicklow. Whatever way Crotta is viewed it’s a very ordered and organised design. It’s very likeable. Symmetry was key to the designers. However, tragically the house, like so many other 17th century Irish gems was lost to social upheaval on the island. Fascinating as they are, the following photos tell a very vivid tale of neglect within a short period of time. Before exposing the evidence of a slow death there is something that I think is captivating about Crotta House and that is its eternal connection to Queen Victoria’s favourite military man, General Lord Kitchener. Kitchener was the most famous Englishman (Irishman actually) of his era. Quick to anger, Kitchener was a ruthless warlord and shot to fame when he revenged the death of General Gordon of Khartoum at the end of the 19th century. He led British forces in every war up to and including WW1 when he fell from favour and he was ousted from the War Cabinet in 1915. Kitchener died a year later alongside over 700 other soldiers when a German mine struck the ship he was on just off the Orkney coast. That makes two of the most important military leaders in the history of the British Empire Irishmen! The other being the victorious commander of the Battle of Waterloo; the Duke of Wellington (1769 – 1852). Kitchener was born in Crotta House and he spent roughly his first ten years of his life in the house before his family moved to Switzerland. The photos below are credited to http://humphrysfamilytree.com/Blennerhassett/crotto.html. They are incredibly important historical archives that show the house in varying phases of disrepair starting from the end of the 19th century to the 1920’s. The above photo is probably from the 1890’s or 1900. This photo is said to be from 1919 but could be earlier. You may notice the beginning of dilapidation. This photo is probably from the 1920’s. You may notice the gaping hole on the right-hand side. Take a look at http://www.17thcenturyirishhouses.com for more blogs and interactive mapping.